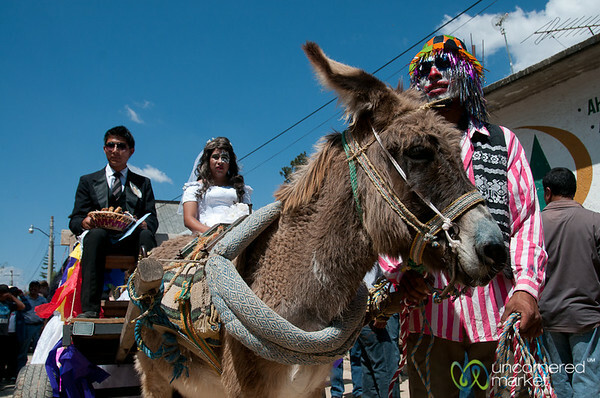 Visiting San Martin Tilcajete outside of Oaxaca, Mexico on Mardi Gras during Carnaval meant streets full of devils and people in costume, plus a transvestite wedding and a huge paper mache bull. 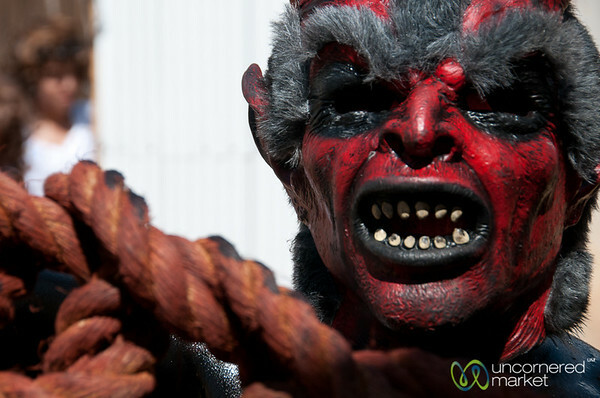 Quite a day! 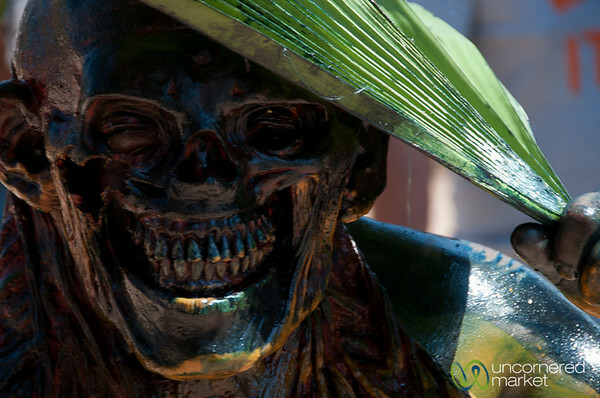 Colorfully painted face for Mardi Gras in San Martin Tilcajete, Mexico. 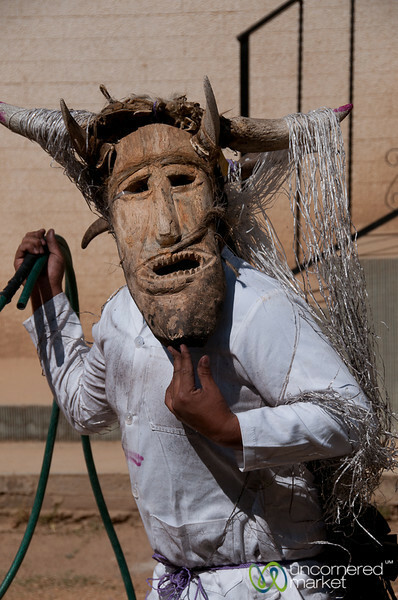 Dressed up in a mask for Carnaval in San Martin Tilcajete in Oaxaca region of Mexico. 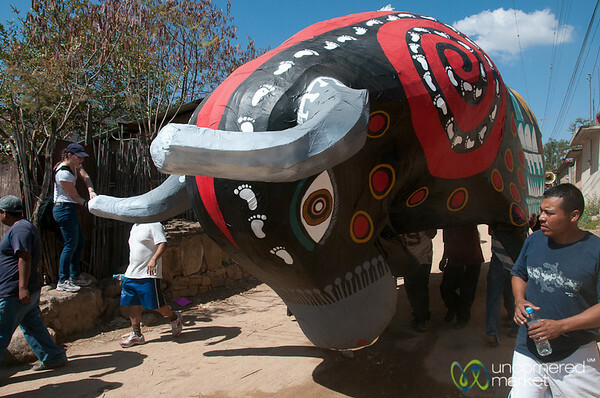 Huge paper mache bull is the main float in the town of San Martin Tilcajete for Carnaval. 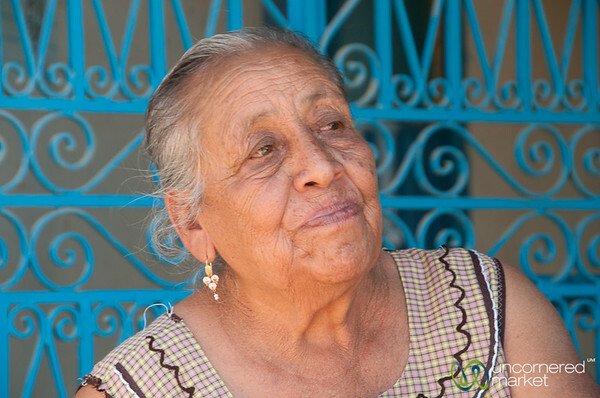 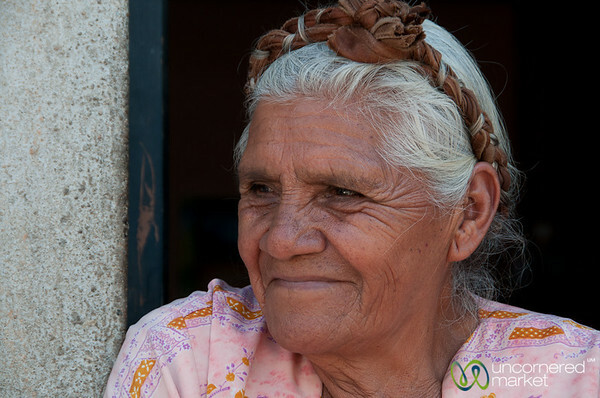 Oaxaca, Mexico. 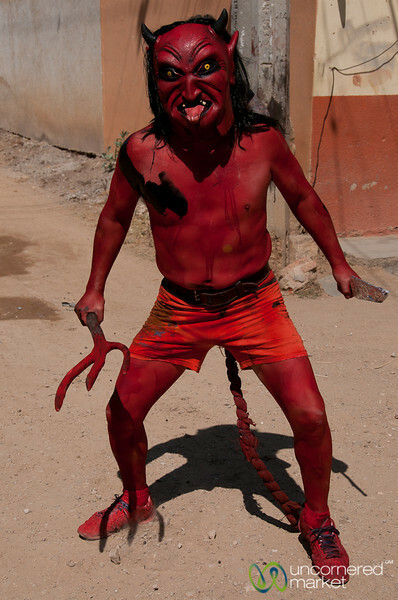 Devils take over the streets of San Martin Tilcajete in Oaxaca region of Mexico for Mardi Gras. 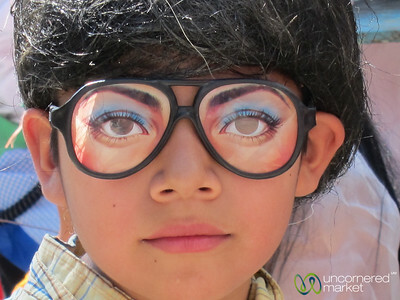 Dressed up with funky eye mask for Carnaval in San Martin Tilcajete, Mexico. 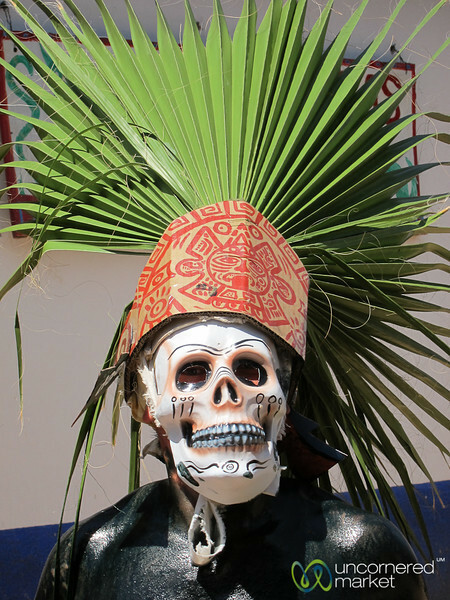 Carnaval skull mask costume on Mardi Gras in San Martin Tilcajete, Mexico. 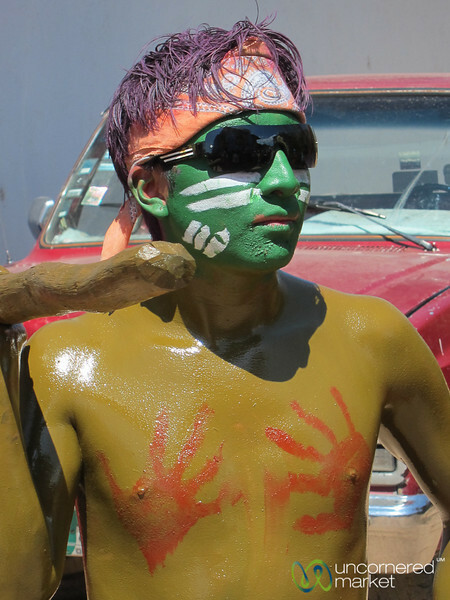 Painted face and body for Mardi Gras in San Martin Tilcajete, Mexico. 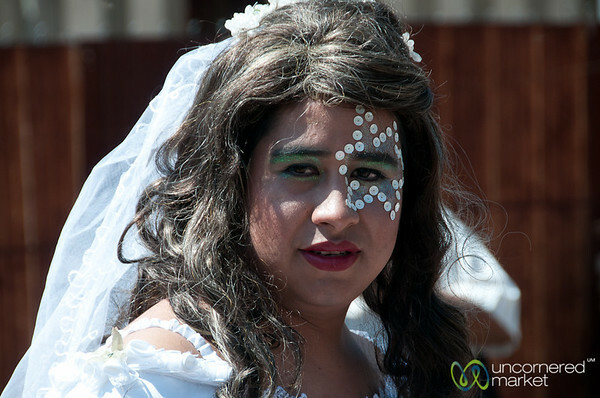 Transvestite bride and wedding for Carnaval / Mardi Gras in San Martin Tilcajete, Mexico. 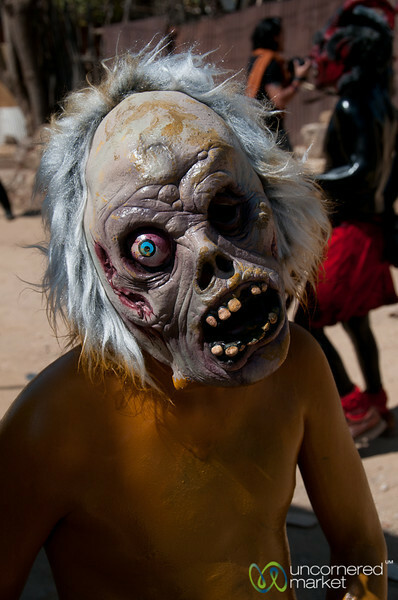 Frightening Mardi Gras and Carnaval mask in San Martin Tilcajete in Oaxaca region of Mexico. 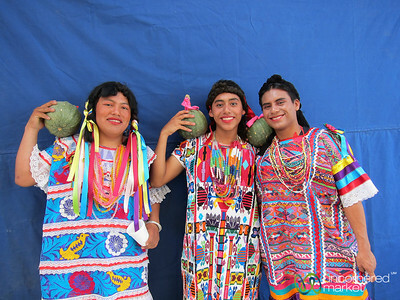 Boys dressed up as indigenous women for Mardi Gras in San Martin Tilcajete, Mexico. 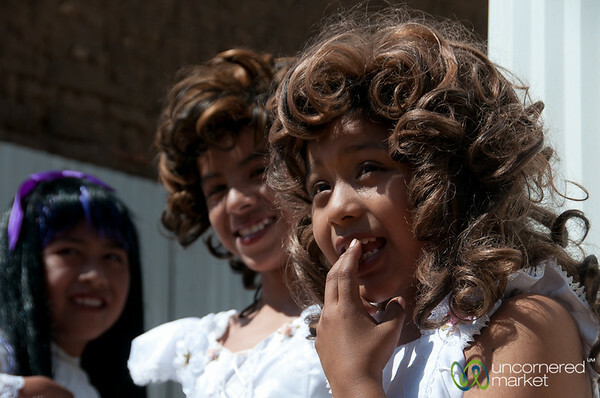 All dressed up for Carnaval in San Martin Tilcajete, Mexico. 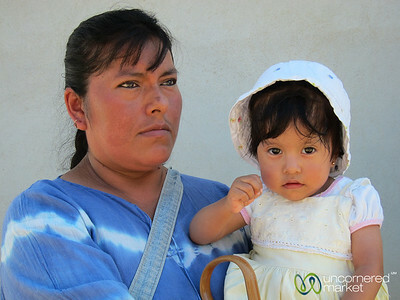 Mexican mother and daughter in San Martin Tilcajete, Mexico. 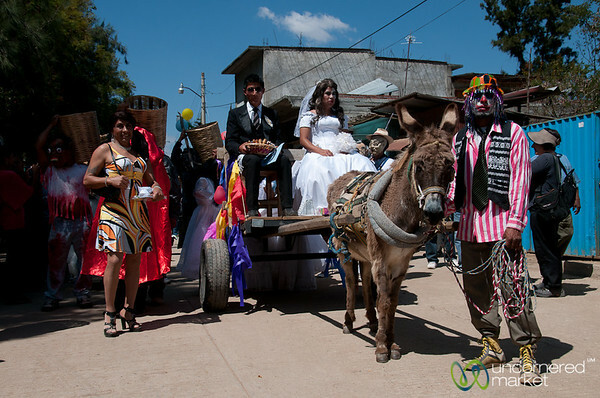 Boys dress up as brides or bridesmaids for a transvestite wedding for Mardi Gras in San Martin Tilcajete (Oaxaca, Mexico). 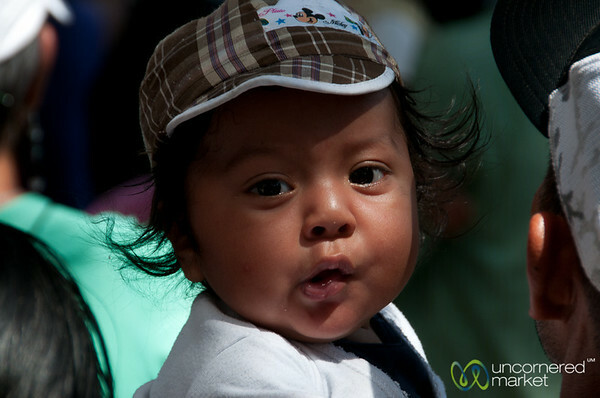 Young baby at Mardi Gras in San Martin Tilcajete, Mexico.